Check my photo ... teh bottom left inside the circle. Mine is grey’d out. My picture mode is set to HDR though I.e HDR active in the advanced picture menu. Do you have a 20mbps line? Would that be sufficient for 4k/hdr? More so YouTube 4k? OLED provides an excellent HDR experience. I think where you're getting turned around is on peak brightness, but remember HDR is about contrast above all else. Due to OLED's deep black level the peak brightness required for Ultra HDR Premium certification is 540 nits, which is perceptually equivalent to the 1000 nits required for LCDs - current OLED displays are capable of 800 nit peaks (remember also that the peak highlights are reserved mainly for specular detail). Besides, the only type of LCD that's capable of good HDR performance is a FALD display, and then you're in OLED pricing territory anyway. Rule of thumb, OLED for a light controlled room, FALD for a bright room. To stream UHD HDR, you require (roughly) a real world 17 - 18Mbps. I've had 25Mbps fibre too which also was more than enough and - as above - I get the full 50Mbps. I've had 20Mbps ADSL and my real world was actually 15Mbps - so too slow for UHD. Although OLED contrast is so high that it can result in the loss of shadow detail. Personally for me, I would go for a FALD TV. My preference being the Sony ZD9 (not available here). I don't have an issue with OLED. Last year when I bought a set, I was told how awesome this OLED panel was ... holographic images ... decades ahead of anything else ... once you've seen it, you'll never go to a 'normal'. 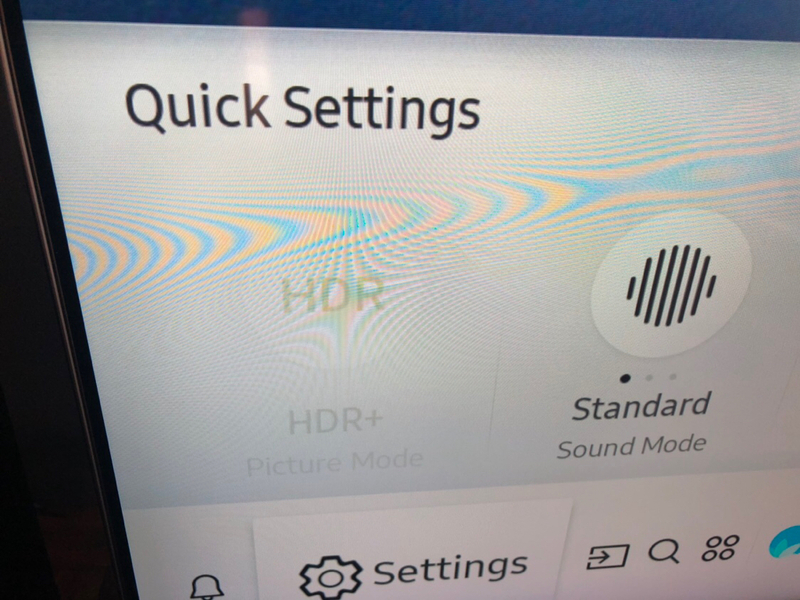 By comparison, QLED was a gimmick ... grey blacks ... washed out image ... a joke of an HDR system. I went and compared both and there was definitely not that difference. It certainly didn't justify a 30% price premium as the image was barley better in most scenes. Dolby Vision vs HDR was again, so close that one couldn't actually tell which was playing at the time. But OLED does seem to have a few niggles that aren't mentioned or rather, played down. A friend of mine has the ZD9, which I did my best to calibrate for him (up until recently, calibration options on Sonys were very limited). Shadow detail is better on the ZD9 than it is on OLEDs and highlights look fantastic, though the black level does suffer for it, you get the occasional light bloom extended to the letterbox area in films as well (there's also a bit of black pixel streaking). It was his ZD9 that helped me make up my mind to go for OLED, just because I don't have to contend with sunlight in my viewing environment. The 2019 Samsung Q9 sounds very impressive though, by all accounts a ZD9 beater with OLED level viewing angles. I went and compared both and there was definitely not that difference. It certainly didn't justify a 30% price premium as the image was barley better in most scenes. You might feel differently were you to compare them at home over a longer period. Dolby Vision vs HDR was again, so close that one couldn't actually tell which was playing at the time. Dolby Vision is HDR10, they both adhere to the same standard, the only difference is that Dolby Vision's metadata is tailored to the display you're using on a scene by scene basis, whereas HDR10 uses a static one size fits all tone mapping solution - meaning Dolby Vision is better capable of displaying content as it was meant to be seen on displays that can't match the mastering level (which is all displays currently). It has, but they're nothing compared to the drawbacks of an edge lit LCD. I mean looking at this, they also don't see what people are telling me about the OLED walking over anything in it's path. And their conclusions, kinda echo what I saw - albeit in lower models of both. While the Samsung Q9FN is perhaps the more dynamic performer, particularly with HDR content, the LG C8’s balance, consistency and effortless naturalism see it take victory here by a tiny margin. And we really are talking tiny: this head-to-head is as close as these things get, despite the very different approaches of the two models. In some ways we’d have liked to have declared a tie. What Hi-Fi is a waste of time, they know nothing about TVs. The Q9FN is a FALD display FYI - second best on the market (after the ZD9 - soon to be usurped by the 2019 Q9). Learning a lot through this topic. I’m about to buy a new TV, probably go 65inch, and saw a special on the Hisense 65U7A. I see Samsung and LG are popular... was wondering if there any thoughts about Hisense? So I upgraded my line speed to 20mbps ftth last week. I noticed a big improvement in Netflix 4k content where it’s much sharper and less grainy. I suspect the stream is compressed on slower line speeds. However YouTube content still buffers. Granted not as frequently as it did on 10mbps but it still buffers. It does however default to 1440p as opposed to 1080p now. My line speed is relatively stable at around 17-18mbps. I might consider upgrading it to a 50mbps line at a later stage as my isp doesn’t offer anything in between. Any other 65inch in this price bracket that you could suggest? For what its worth....lots of reviews on Samsung tvs have not been very good. Worked on a 40" LED (2015 model) replacement repair recently which got me into researching the brand..and many consumers are not very pleased with the after-sales service. It also seems that at abt 4 years, their tvs become problematic. Samsung is also assembled locally...not that this has any bearing here. Impressed with the likes of Hisense and Sinotec who is sure enough of their product, offering 4 or 5 yr warranties. Although Samdung is very popular, consider the LG....if these are your only prefered choices...research after-sales service reviews...most important...cos everything does eventually break.